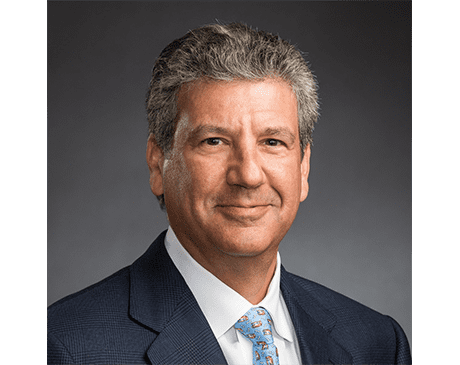 Robert R. Scheinberg, MD, is a board-certified orthopaedic surgeon, a leader and authority in the field of sports medicine, and a specialist in arthroscopic reconstructive surgery of the knee, shoulder, elbow, and hip. He’s on the team of renowned orthopaedic surgeons at Texas Orthopaedic Associates, LLP, and sees patients at the practice’s Dallas location on Walnut Hill Lane. He’s been featured on D Magazine’s list of Best Doctors in Dallas since 2001 and Texas Monthly’s list of Super Docs since 2005. Dr. Scheinberg completed his undergraduate education at Tulane University in New Orleans and Hendrix College in Conway, Arkansas, graduating with a Bachelor of Arts degree in biology. He earned his medical degree from the University of Tennessee College of Medicine in Memphis, before relocating to Dallas to do an internship in general surgery at the University of Texas Southwestern Medical Center, and a residency in general surgery and orthopaedic surgery at Parkland Memorial Hospital. He finished his medical training with a fellowship in knee and shoulder orthopaedic sports medicine at Steadman Hawkins Clinic in Vail, Colorado. Dr. Scheinberg is experienced in treating a wide range of athletes, from the recreational to the professional. He’s currently the team physician for multiple local high schools in the Dallas area as well as for the United States Ski Team and was previously the orthopaedic surgeon for the 1994 World Cup USA at the Cotton Bowl. He is also currently an honorary member of the Southwest Athletic Trainers Association and a past president of the Texas Society for Sports Medicine. In addition to his hands-on work with athletes, Dr. Scheinberg is also passionate about teaching. He’s a clinical assistant professor at UT Southwestern’s Department of Orthopaedic Surgery, has authored numerous papers and book chapters, and has presented and lectured at many national and international conferences. In his spare time, Dr. Scheinberg enjoys golfing, skiing, running, and spending time with his family: his wife, Deon, a physical therapist and former Dallas Cowboys cheerleader; his twins, Blake and Layne; and his two English bulldogs. “Definitely a gifted physician. I had my right shoulder scoped in 2011. Recovery was incredible! I was ( light workout) lifting weights 30 days later.